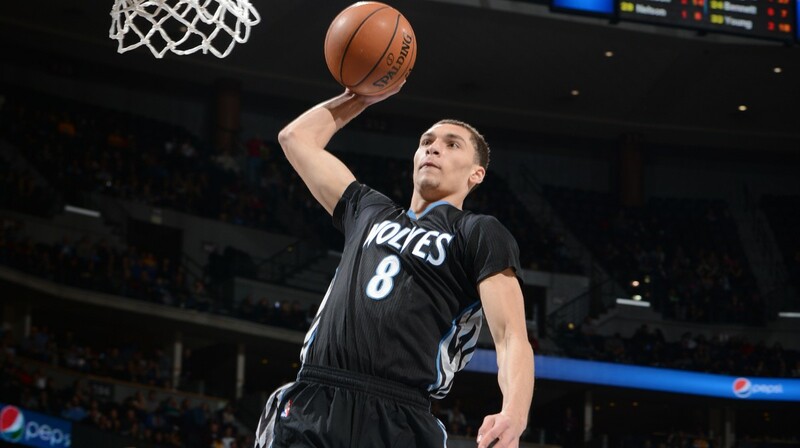 Will Zach LaVine eliminate any of his weaknesses in his second season? The Timberwolves regular, real season begins on Wednesday night at the Staples Center. They play against the Lakers at 9:30 CST on ESPN. On Friday, they play at Denver; a game that will be broadcast on Fox Sports North Plus. Then, on Monday, they play against the Portland Trail Blazers. This will be their home opener and will undoubtedly feature an emotional tribute to the team’s recently fallen leader, Flip Saunders. Flip’s passing is going to weigh heavily on this team for a while, but the games will be played. The show will go on. I am qualified on neither a personal-relationship basis, or a simple “writing chops” basis to dig deep into the happy story of Flip’s life or the sad story of his death. The best I can offer on this tragedy are some words about what Flip accomplished in rebuilding this Timberwolves team, setting it in such a positive direction. I did that yesterday afternoon when the news broke and I could not focus on basketball. This is my awkward way of saying that I am going to move on, as far as this blog is concerned, and write about basketball again. As many have written in the past 24 hours, Flip understood better than most that “at the end of the day,” basketball is supposed to be fun. That is how I view it, and to me, it is fun that the Timberwolves are about to begin another season, and that is what I wanted to write about tonight. For this piece, which I guess is ostensibly a “season preview,” I thought it would be fun to break down the Wolves roster by positions, and pose what I find to be important questions facing each player in the season ahead. Some of these will involve stats, some will involve style of play, and some will be a bit more big-picture or random. I’ll offer some quick guesses at my own questions, and open it up to commenters to weigh in on where they agree or disagree. I’ll go through the positions in (what I believe to be) reverse order of importance to the Wolves future, for DRAMATIC EFFECT. When this season opens, and as long as Ricky Rubio is healthy (knocks on all of the wood) Andre Miller will be this team’s backup point guard. I think it seems reasonable to assume that a healthy Rubio will average about 35 minutes per contest. Given that neither he nor Miller are very good shooters, they will probably not share the floor much. This means that there might only be about 13 minutes per game for Miller – and that is if they play rookie Tyus Jones ZERO, and they play Zach LaVine exclusively off the ball. If the plans to prioritize development are sincere, Jones will probably see a few spot minutes here and there, and LaVine will probably play some point, too. (The part about Jones is especially likely, given the Wolves lack of a D-League affiliate where he might otherwise have spent most of the year.) Miller is going to turn 40 years old (!) in March, so his expectations for playing time might be realistically low. But consider that he finished last year in Sacramento, playing for his favorite coach George Karl, and was logging over 20 minutes per game. My guess: Miller will be okay sitting some games out completely — with some communications and “heads up” from the coaches — but will expect some floor time, too. I think he will probably average 12 minutes per game and be happy enough with that. Does Tyus have any interesting upside, and will we see any teases of it this year? Tyus Jones was possibly the most acclaimed prep basketball star in Minnesota history. He was widely considered one of the very best prospects in his national class throughout his entire high school career, eventually made the McDonald’s All America Team, and chose to attend Duke, instead of, well, every other basketball powerhouse. In his lone season in Durham, he earned third team All ACC honors, led the Blue Devils to a national championship and was named Most Outstanding Player of the Final Four. If that was all that you knew about him, you would probably imagine someone who looks a lot different than Jones does. From McDonald’s games past, you might imagine somebody who looks like Jonathan Bender or Kobe Bryant or, locally, Kris Humphries. Somebody big, strong and super athletic. But Jones is none of those things. He is only 6’1″ and very skinny. He plays with a nice pace, but is not particularly explosive. He has a lot of physical development ahead of him, if he is going to make an impact at the NBA level the way that he did in high school and college. What I am curious to see is if there are early signs — this season — of upside that exceeds “quality backup point guard.” I notice people putting this type of ceiling on Jones’s potential, before he plays a single game. Given that Jones has been much, much better than his peers through this point in his life, and he has won championships at every level, through this point in his life, I suspect he imagines an NBA career that involves him making an impact on games; a career better than just backup duty. As a point guard, I suspect Jones envisions himself running a high-power offense — like he did at Duke — with not only smart decisions and crisp passes, but clever plays, too. Once the speed of the NBA game slows sufficiently down for him, and his body matures, can he do some of the things that Chris Paul does to clear so much space for himself around the elbows, shrugging off defenders with hand-check-deterring flops, and just generally make a positive impact on team performance? My guess: He is one year away from showing us much to be excited about, but he may have a bright future and long career ahead of him. Will Ricky Rubio run the Wolves offense, or will it be run from the bench? Flip Saunders Passes, Leaving Timberwolves in Better Shape than he Found Them. I was on my way out the door today when I heard the iTunes on my computer still playing. The plan was to head out to get coffee and bang out a post that previewed the Timberwolves season. I didn’t have a perfectly clear idea of what I was going to write. I was sure it would have to do with the team’s exciting young players, the patience that will be required as the franchise prioritizes development over winning in the short term, and probably some thoughts about the tactics we saw on display in the preseason, under the leadership of interim coach, Sam Mitchell. When I leaned over to stop the music, I had my TweetDeck app open, and there was news on Twitter. Big, huge, terrible, tragic news. On one hand, this did not come out of left field. It was not necessarily a surprise, given that Flip’s cancer diagnosis was announced many months ago, and his attempt to continue working failed when he was hospitalized with complications. Nothing that has been reported in the past few weeks has sounded good, and I think most people trying to follow the situation have understood that this outcome was possible, if not likely. Still, the news itself is enormously sad and significant on many levels. The aspect about a person being taken too soon by cancer is self evident. But Flip is one of the most influential people in Timberwolves history, too. In his first go-around here, he was (with Kevin McHale) responsible for drafting Kevin Garnett, and coaching him through his entire professional development, and the prime of his Hall of Fame career. The Wolves went to the playoffs eight straight times with Saunders coaching. They had never been to the playoffs before he was hired, nor have they been back to the playoffs since they fired him in 2005. Up through his recent cancer diagnosis and leave of absence, Flip was in a position of power that is possibly unmatched in modern professional basketball, or even sports. Flip was a minority owner of the team, he was the president of basketball operations in charge of managing the roster and drafting players, and he was the head coach. He had his hands everywhere, on this team. Flip the President traded away the team’s disgruntled best player, Kevin Love, and somehow acquired a legitimate cornerstone talent, Andrew Wiggins. This came after Flip’s first draft, when his controversial decision to select Shabazz Muhammad would later prove to be wise one. Flip the Coach made the development of Wiggins such a priority that it would better be characterized as an obsession. Nothing mattered more to Flip, last year, than making damn sure that his prized rookie cashed in on his enormous potential. By the end of the season, after continuous direction from Saunders, Wiggins was asserting himself the way that he needed to. 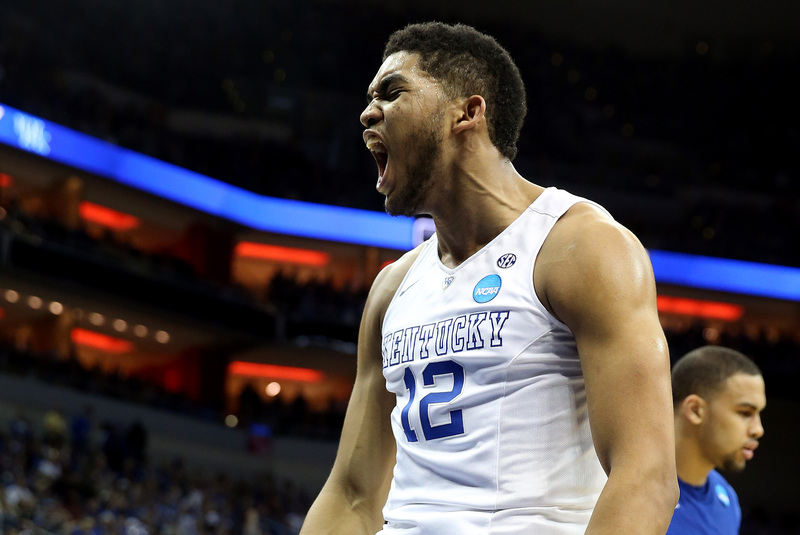 He easily won Rookie of the Year honors, and many expect him to break out into All-Star form very soon. Flip the President was working in close coordination with Flip the Coach. Together, they beautifully orchestrated the tanking development strategy that positioned the Wolves to select Karl-Anthony Towns in the 2015 Draft. 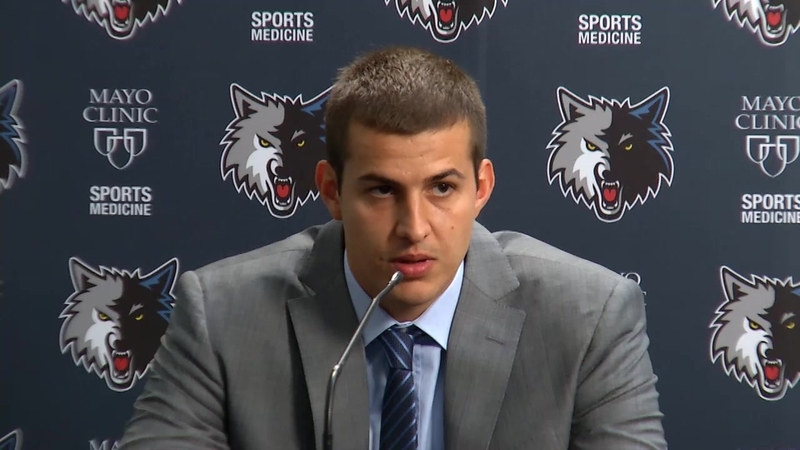 Flip held Ricky Rubio out of 60 games for an ankle sprain (! ), knowing full well that he would face questions almost everyday about what exactly was wrong that he couldn’t play his veterans. He faced that music with a shockingly upbeat spirit, and enjoyed the last laugh on lottery night, and again on draft night, when it all paid off. Flip the Owner and businessman was also making his presence felt. He was obviously a key factor in bringing Kevin Garnett back to Minnesota; in the short term as a player, and in the longer term, as a future owner of this team. KG is perhaps the only person whose impact on Timberwolves history exceeds Flip’s, and the two of them were going to do everything they could to ensure its future was brighter than its recent past. The first concrete evidence of Flip’s business influence was the construction of a state-of-the-art practice facility in Downtown Minneapolis, across the street from Target Center. While I cannot say for sure, I doubt that this Mayo Clinic partnership happens, to this extent, without Flip’s participation. This practice facility is the best in the NBA and Flip was a leader in getting it built. Those are just the things that Flip has done since returning to the Timberwolves in 2012. In a very short time, he took an anxious franchise moment — Kevin Love’s contract timer ticking, Rick Adelman no longer fully invested in coaching responsibilities, the roster at large in great need of a young-talent infusion — and spun it into genuine excitement and optimism that the Timberwolves will become a championship contender again. Flip’s passing is a pretty incredible thing for the Wolves organization to go through, and we will all be trying to sort out What Comes Next over the next few weeks, months, and even years. 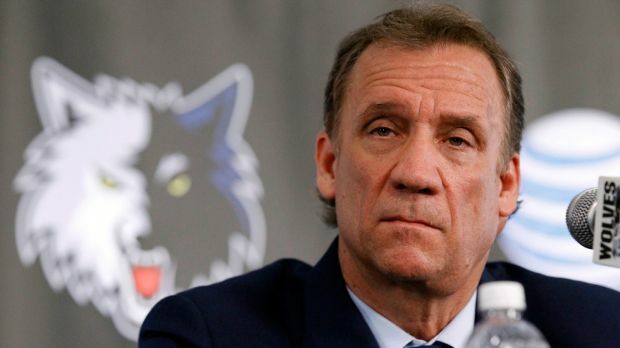 But for today, it’s best to just remember Flip Saunders and send well wishes to his family and (many) other loved ones.